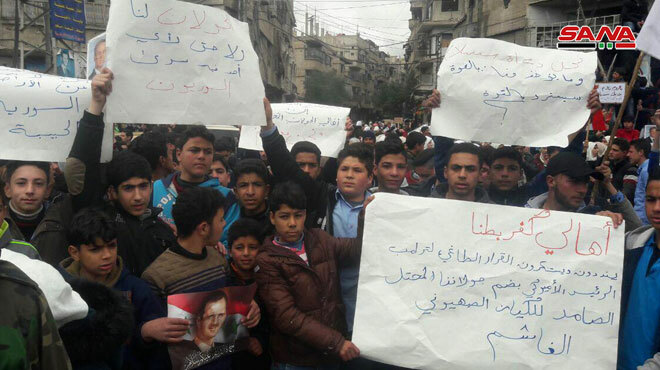 Protests on Sunday continued in several provinces against US President Donald Trump’s declaration on the occupied Syrian Golan. 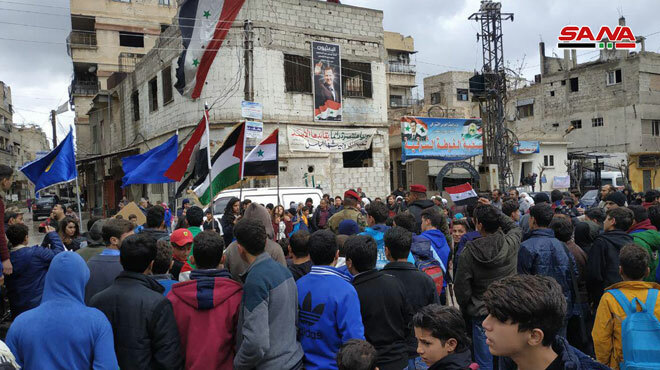 The Popular and official activities of Quneitra organized protests in their gatherings in the towns and neighborhoods of Jdeidet al-Fadel, al-Dahadeel, Naher Aisha, Qudsiya, Mafraq Hejeira in Damascus and its countryside to condemn Trump’s declaration, considering it void and meaningless. They asserted that the occupied Syrian Golan is a Syrian Arab territory and it will return to the motherland sooner or later. In Sweida, Journalists’ Syndicate-Southern branch protested against Trump’s declaration ,gathering in front of the branch where they carried banners denouncing that declaration. They also saluted their fellow citizens in the occupied Syrian Golan. 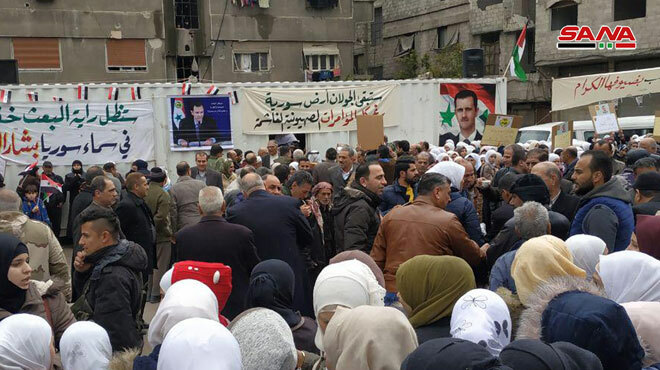 In Deir Ezzor, people gathered at al-Saiyed al-Raees Square to denounce Trump’s declaration, stressing that it violates the international law and serves the Israeli entity.